The hybrid-electric, hybrid-mechanical and hybrid-hydraulic power technologies complement Perkins existing 0.5–18 litre range of diesel engines, ensuring OEMs and their customers benefit from machines that are more productive, quieter and have lower fuel consumption, whatever power solution they select. At bauma 2019 Perkins is highlighting three hybrid power solutions through three engines, all at 75 kW (100 hp). To demonstrate modularity and flexibility, all three hybrid solutions are based on the Perkins® Syncro 2.8 litre. 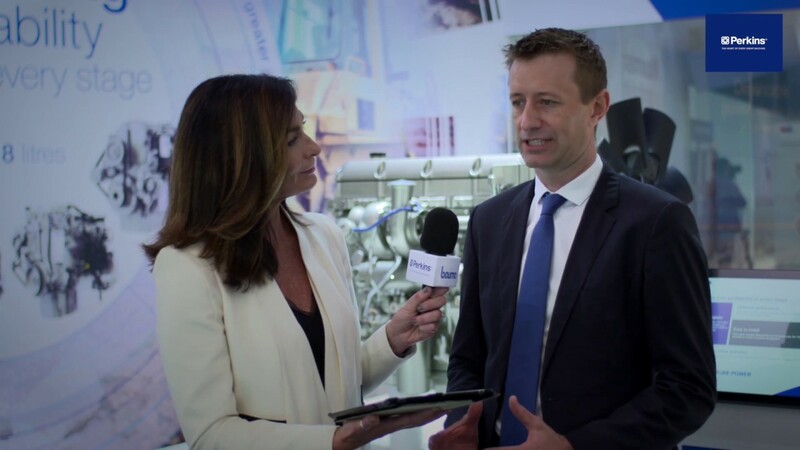 James Reed, business development engineer Perkins Engines explains Perkins hybrid technologies which are on show for the first time at bauma Munich 2019. Hybrid-electric: There are several ways to incorporate the electric motor or generator, with Perkins preferred arrangement delivering excellent fuel saving benefits while moderating the installation impact and minimising the cost impact on the machine. The flexibility of the system provides opportunities for further efficiency and functionality improvements in the whole machine through use of 48-volt electrics. Hybrid-mechanical: This stores energy in a high-speed flywheel which can be delivered back to the machine. This is particularly useful in hybridising machines that run a cyclic operation and need very intense bursts of additional power. Apart from the very quick energy release, the advantage over hybrid-electric is in installation size. Tom Carlill, new product introduction programme manager in the Perkins Expanded Offering Product Team, added: “Our conversations with OEMs indicate that their research and development departments are under intense pressure to implement regulatory changes and customer features to current machines, as well as to plot a path towards future technologies.